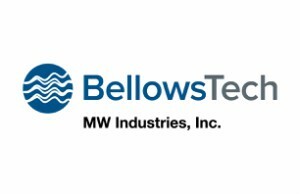 (Ormond Beach, FL, January, 2014) BellowsTech, LLC has launched a new web page focused entirely on the edge welded bellows technology process used to manufacture edge welded bellows, which offers a function unobtainable with any other metal bellows technology known today. Although metal bellows technology has existed for decades, edge welded bellows are not as common as hydraulically formed, or hydroformed bellows. 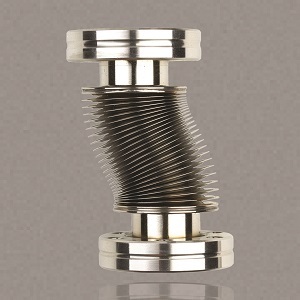 Edge welded bellows are capable of completely collapsing onto themselves, and expanding up to 25% of their free length. Edge welded bellows are manufactured by welding stamped, metal diaphragms along the inside diameter and alternating outside diameter to create a flexible assembly, rather than rolling convolutions into a sheet of metal and welding a seam. Understanding the manufacturing process helps the user through the design and application of edge welded bellows assemblies. For example, a lateral offset of a bellows assembly could change the performance specifications, depending on the internal and external pressure and the maximum differential pressure. Edge welded bellows have traditionally been used in ultra-high vacuum applications, but their ability to offer the same stroke length as a hydroformed bellows in a smaller size has become very attractive to design engineers. 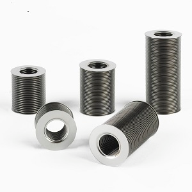 BellowsTech uses a variety of materials to achieve various pressure, temperature, and media compatibility requirements. Wide operating ranges and flexibility have moved welded bellows from the aerospace and cryogenic markets into other industries such as oil and gas, instrumentation, semiconductor, water, and medical. 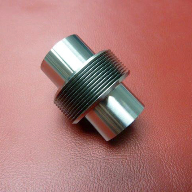 Various end connections and flanges can be welded by BellowsTech to produce a complete bellows assembly, or the assembly can be prepared to be welded by the customer.